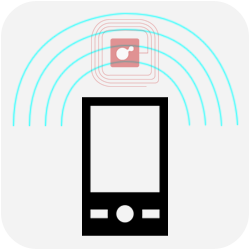 PTS is the leading supplier of software configurable Mobile RFID Kits. PTS Mobile RFID Kits are flexible enough to handle virtually any application and cost of fraction of traditional custom and canned RFID Custom systems. PTS RFID Kits include everything you need to get started including Mobile RFID Readers and Snap-ons, Mobile to Database Syncing Software, TracerPlus Mobile Software and TracerPlus Set Up Services. Create Mobile RFID apps in minutes using our TracerPlus software. Browse for complete systems including mobile RFID readers, Software and Tags. Browse for Mobile RFID Readers and RFID Add Ons. Browse for accessories including RFID power mappers. Browse for RFID Tags and Labels including General Purpose, On Metal, On Liquid and more. TracerPlus is Enterprise Class RFID and barcode software with features unmatched by other solutions including multi tag scanning, Geiger counter and RFID tag writing.